The Eugene Mirman Comedy Festival Is Coming! Hey everyone, big comedy news! 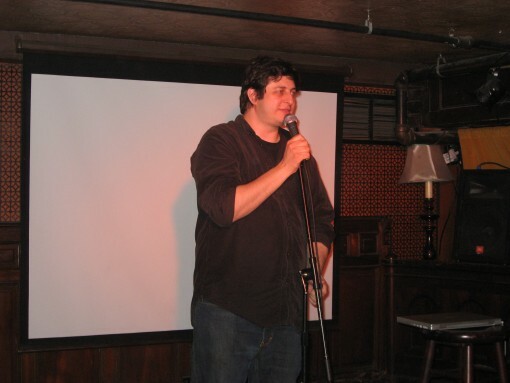 The First Annual Eugene Mirman Comedy Festival is coming to Brooklyn (Union Hall and The Bell House) on September 25-28, 2008. Guests will include many Invite Them Up and Tearing the Veil of Maya regulars (such as Showalter, Mirman, Tisdale, Benjamin, Barry, Galifianakis, Birbiglia, Oliver and Schaal) and a bunch of folks we haven’t seen in Brooklyn before like Jason and Randy Sklar. Check out the schedule below and this article in Time Out NY for more information. Do you happen to know if the Bell House is 21+?